The move of the historic Dummer House in Hallowell would leave an empty property for the city to construct a new municipal parking lot ahead of April's Water Street reconstruction project. 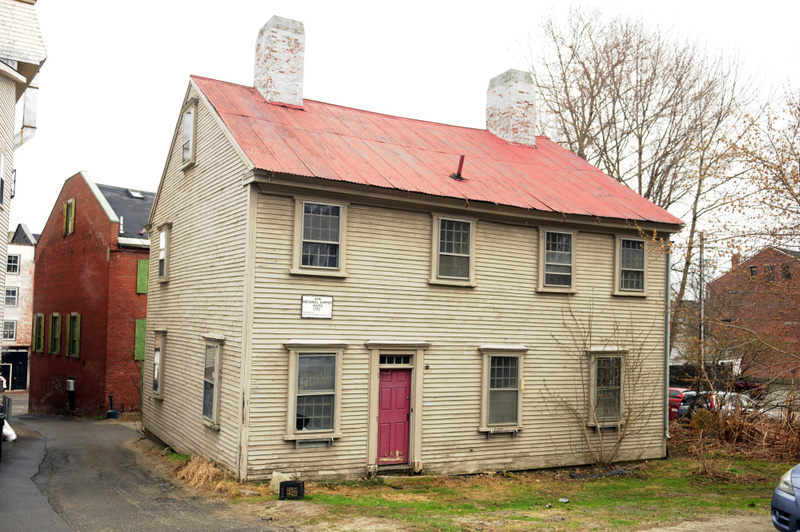 The Hallowell Planning Board during a special meeting Wednesday will consider Linda Bean’s application to relocate the historic Dummer House and install it on a new foundation. The meeting, scheduled to start at 7 p.m. at City Hall, is the next step in a months-long process to clear a parcel of land on Central Street to construct a new municipal parking lot. Moving the house, currently at 4 Dummers Lane, would pave the way for the city to construct the new, 30-space gravel parking lot on the property ahead of the start of the Water Street reconstruction project in April. According to a Memorandum of Understanding with the city, Bean, the granddaughter of L.L. Bean’s founder, has agreed to move the historic house and sell the remaining property to Hallowell. Bean and the city have agreed on a $147,000 price for the remaining parcels of land. If an agreement is finalized, Bean will continue to own the house when it moves to its new location — on the corner of Second and Central streets — and Preservation Timber Framing in Berwick will handle the move and rehabilitation of the historic building. City Manager Nate Rudy said the city’s main goal is still to make sure the project gets completed in time to build a parking lot on the Dummer House’s lot. The lack of ample parking on and near downtown Hallowell has been something residents and business owners have lamented for years, and Rudy said a 30-space gravel lot is all the city could afford. The work will be funded using the $300,000 voters approved in April as part of a $2.36 million bond package. Bean acquired the house and restored it in the 1960s, and she plans to relocate the structure to a parcel on the corner of Central and Second streets. The city had discussed including the Dr. Hubbard House museum as part of the Dummer House transaction, but at its last meeting, the City Council decided to handle the future of the Hubbard museum separately. There has been discussion about the Dummer House becoming a museum, and Bean said if this deal happens, the Hubbard would be a second museum space for the historical collections that many in Hallowell and around Maine could offer. The agreement with the city for the Hubbard house stipulates that Bean would have to maintain the Hubbard museum at the same level or better than the city currently does, and Rudy said there’s no reason to think Bean isn’t up to the task. Rudy said the city spends about $1,100 to maintain the Hubbard each year, so it would save that money if the responsibility became Bean’s. Nathaniel Dummer was a veteran of the American Revolution and one of Hallowell’s early civic leaders. He served as the town’s first postmaster from 1794-1802 and was a judge on the Court of Common Pleas in Kennebec County. He died in Hallowell in 1815 at age 60. In other business, the Planning Board will consider applications by Mike and Shannon Collins to replace windows, siding and doors, and repair brick chimneys and foundation at their property on Second Street; and by Laflin and Wolfington Realty to install an attached storage shed at its property on Water Street. The board will also review an amended adult-use cannabis ordinance that the City Council will discuss at its meeting Monday. The Planning Board will hold its regular monthly meeting at 7 p.m. Dec. 20.